This is the hardback edition. Dr. Shermer also provides the neuroscience behind our beliefs. The brain is a belief engine. From sensory data flowing in through the senses the brain naturally begins to look for and find patterns, and then infuses those patterns with meaning. The first process Dr. Shermer calls patternicity: the tendency to find meaningful patterns in both meaningful and meaningless data. The second process he calls agenticity: the tendency to infuse patterns with meaning, intention, and agency. We can’t help believing. Our brains evolved to connect the dots of our world into meaningful patterns that explain why things happen. These meaningful patterns become beliefs. 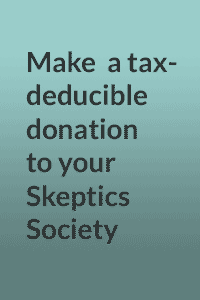 Once beliefs are formed the brain begins to look for and find confirmatory evidence in support of those beliefs, which adds an emotional boost of further confidence in the beliefs and thereby accelerates the process of reinforcing them, and round and round the process goes in a positive feedback loop of belief confirmation. Dr. Shermer outlines the numerous cognitive tools our brains engage to reinforce our beliefs as truths and to insure that we are always right. Interlaced with his theory of belief, Dr. Shermer provides countless real-world examples of belief from all realms of life, and in the end he demonstrates why science is the best tool ever devised to determine whether or not a belief matches reality. Michael Shermer has long been one of our most committed champions of scientific thinking in the face of popular delusion. In The Believing Brain, he has written a wonderfully lucid, accessible, and wide-ranging account of the boundary between justified and unjustified belief. We have all fallen more deeply in his debt. —Sam Harris, author of the New York Times bestsellers The Moral Landscape, Letter to a Christian Nation, and The End of Faith. The physicist Richard Feynman once said that the easiest person to fool is yourself, and as a result he argued that as a scientist one has to be especially careful to try and find out not only what is right about one’s theories, but what might also be wrong with them. If we all followed this maxim of skepticism in everyday life, the world would probably be a better place. But we don’t. 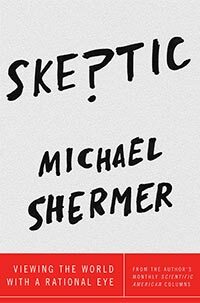 In this book Michael Shermer lucidly describes why and how we are hard wired to ‘want to believe’. With a narrative that gently flows from the personal to the profound, Shermer shares what he has learned after spending a lifetime pondering the relationship between beliefs and reality, and how to be prepared to tell the difference between the two. Michael Shermer has long been one of the world’s deepest thinkers when it comes to explaining where our beliefs come from, and he brings it all together in this important, engaging, and ambitious book. Shermer knows all the science, he tells great stories, he is funny, and he is fearless, delving into hot-button topics like 9-11 Truthers, life after death, capitalism, Barack Obama, Sarah Palin, and the existence of God. This is an entertaining and thoughtful exploration of the beliefs that shape our lives. A tour de force integrating neuroscience and the social sciences to explain how irrational beliefs are formed and reinforced, while leaving us confident our ideas are valid. This is a must read for everyone who wonders why religious and political beliefs are so rigid and polarized—or why the other side is always wrong, but somehow doesn’t see it. We might think that we learn how the world works, because we take the time to observe and understand it. Shermer says that’s just not so. We just believe things, and then make our world fit our perceptions. Believe me; you don’t have to take my word for it. Just try clearing some space in your own believing brain. 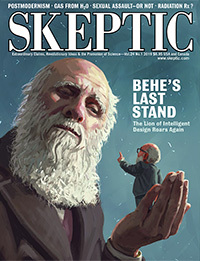 A fascinating account of the origins of all manner of beliefs, replete with cutting edge evidence from the best scientific research, packed with nuggets of truths and then for good measure, studded with real world examples to deliver to the reader a very personable, engaging, and ultimately convincing set of explanations for why we believe.